Livex 4273-02 - This ceiling mount features contour lines and a bowed profile. With an understated design, this piece is perfect for any space in your home. 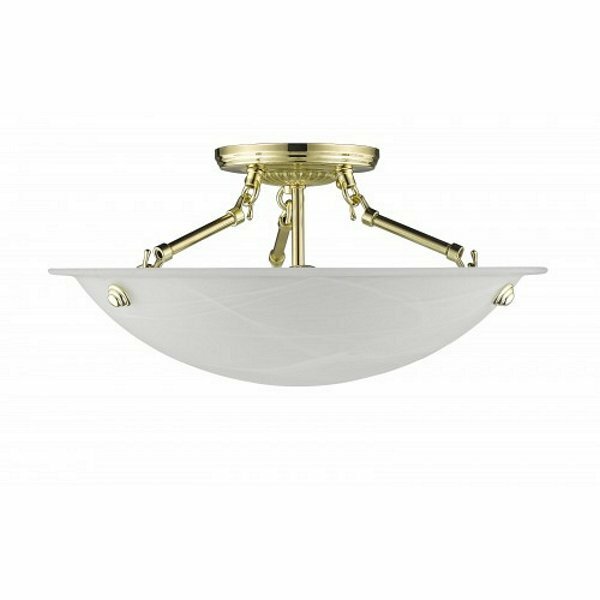 Featuring a white alabaster glass and polished brass finish, this fixture will effortlessly blend with your existing décor.